The Steamfast steam cleaner is attracting a lot of attention now. Good Housekeeping is currently reviewing and awarding its seal to a growing number of steam cleaners from this brand. What is it with these steam cleaners? This brand was developed by Top Innovations, a company whose history in the steam cleaning market dates back to 1987. Top Innovations has a lot of steam cleaning appliances in its portfolio including steam cleaners for household and professional use, steam presses, garment steamers also for household and professional use, steam floor cleaners and mops, and handheld steam cleaners. The quality and durability of these steam cleaners are guaranteed by the Good Housekeeping Seal you will now find on several Steam Fast products, making the product a trustworthy brand for housewives to rely on. And the best part is that you can easily afford these products, which run between $35 for the handheld cleaners to $150 for the higher end models. These steam cleaners are home-friendly – that’s what sets them apart. These are the simplest, most user-friendly steam cleaners you’ll find around. They look like friendly household helpers rather than complicated intimidating cleaning machines, and they offer all the benefits of steam cleaners. They clean without the use of bleach, ammonia, and other chemicals, and they effectively remove germs and bacteria from your home. SteamFast offers canister cleaners but the brand made more noise in the market for its handheld steam cleaners. These steam cleaners use one common technology, though, and that’s the steam-on-demand feature for cost-effectiveness. The canister types are complemented with the continuous steam locking switch for the longer steam cleaning tasks. The SF-275 Canister Steam Cleaner is definitely the steam cleaner of choice as Good Housekeeping even discovered for itself. At only $109.99, this product offers the steam-on-demand technology packed in a user-friendly and very nice white package with black flexible steam hose and wheels/casters for better mobility. The product also has a carrying handle and is quite smaller than other canister type steam cleaners, providing the added benefit of portability. • Multi Use: Cleans sinks, tubs, toilet areas, drapes, upholstery, grout, it even has an attachment to clean your BBQ Grill! • Comes with a host of attachments: triangular brush to reach corners, nylon utility brush, a brass brush to clean your BBQ grill, scrub pad for cleaning, cloth cover so that you can steam clean your floors. • A lot of power at 1500 watts. This steam cleaner has gained a lot of glowing consumer feedback, however, it wouldn’t be fair if we did not highlight some of the issues that a few consumers are experiencing. A few say that the steamer doesn’t produce a lot of steam and doesn’t generate the same amount of pressure when the various attachments are used. Some claim that it isn’t as powerful as advertised. However, despite these few negative reviews, this steam cleaner has a four star rating on Amazon. When coupled with the low price, it is definitely a good economical option for those who need a steam cleaner for multiple uses. If you’re looking for handheld steam cleaners, on the other hand, the best SteamFast offer is the SF-226 model. The very compact steam cleaner looks more like a pitcher than a steam cleaner. Looking very home-friendly, it can surprise you by offering a powerful steam cleaning technology that can effectively remove dirt and grime from table tops, walls, tiles, and so on. It also has a long nozzle so you can even steam clean hard to reach areas and corners. This is another product that has earned the Good Housekeeping seal. • You can’t expect too much power from this product. It is great for regular steam cleaning around the home, but it will take you a long time to finish tough cleaning jobs with such a small and mild steam cleaner. • Since it is one of the smallest steam cleaners around, you would have to frequently refill it during the steam cleaning process. • The steam-on-demand button may be cost-efficient, but it can be frustrating to have to push the button continuously since this hand held version does not have the continuous locking switch of the canister models. Though designed with some limitations, this handheld steam cleaner is one of the friendliest portable steam cleaning partner; perfect for steam cleaning around studio apartments and condominium units. Check out the video below to view the numerous uses of this nifty steam cleaner. 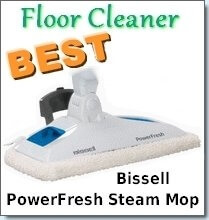 The Steam Fast Floor Steam Mop is an excellent budget steamer. The main features of this mop include an easy to use handle that can swivel with an adjustable height. The maximum length is set at 47 inches which enables even the tallest user to comfortably mop. At 5 pounds this is a lightweight, which makes carrying it around a breeze. It’s a good thing its light because the cord which measures 19 feet, is relatively short. Microfiber covers are included which are reusable and easy to clean. 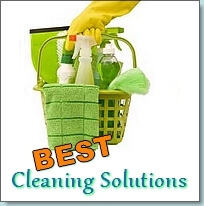 It offers approximately 10 minutes of cleaning with a 3 minute prep time. At $40 and a 4 star consumer rating, this cleaner definitely offers good value for your money. 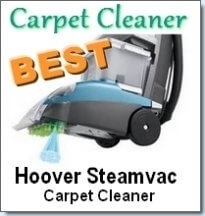 Steamfast Steam Cleaner Reviews – How to choose a SteamFast Steam Cleaner for your needs. 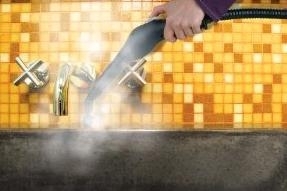 The Steam fast steam cleaner is one of the most versatile and multi use cleaners on the market. 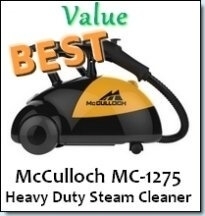 Mcculloch Steam Cleaner Reviews -Free reviews of Mcculloch steam cleaners and why the Mcculloch steam cleaner is a great buy.